More than a year ago, Virginia Farm Bureau joined the United States Farmers and Ranchers Alliance, agricultural groups at the national, regional and state levels that have collaborated to lead the dialogue and answer Americans’ questions about agriculture and how we raise our food. On their Web site, www.fooddialogues.com, they respond to questions from readers as well as articles from publications that may contain some misinformation about agriculture. University of Washington agricultural scientist Charles Benbrook recently looked at the rate of pesticide use in the age of genetically engineered seeds, or GMOs. Benbrook’s results undercut one of the main arguments in favor of this technology — the idea that they have significantly brought down pesticide use. According to Benbrook’s analysis, since their introduction in the 1990s, pesticide use for commodity crops like corn and soy has actually increased by approximately 7 percent. Benbrook claims that Monsanto and its herbicide-resistant RoundUp Ready product line — seeds engineered to withstand the herbicide RoundUp — had the opposite effect, encouraging farmers to use a single pesticide, ultimately to excess. Benbrook’s study is flawed and incomplete. The U.S. Department of Agriculture ended its pesticide use tracking program in 2006, so Benbrook estimated the total use by using incomplete data from the USDA combined with other sources, like planting data and pesticide-use models. Not to mention, RoundUp Ready is an herbicide-resistant product line. Not pesticide. In addition, according to a study assessing the global economic and environmental impacts of biotech crops for the first nine years (1996-2004) of adoption, biotechnology has reduced pesticide use – pesticide spraying decreased by 380 million pounds and has reduced environmental footprints associated with pesticide use by 14% (http://www.isaaa.org/resources/publications/pocketk/4/default.asp). Farmers use herbicides, pesticides, fungicides and fertilizers with respect to the environment. They carefully follow labels and consider weather patterns that may impact the efficacy or leaching of an application. Further, farmers are incentivized to properly manage these tools because of the cost. Most strive to reduce the “inputs” they use to be more profitable. USFRA firmly believes that biotech crops are safe for human and animal consumption. Countless studies have proven the value of biotech seeds. Farmers’ yields continue to increase while the amount of land used continues to be the same or even decrease. While these examples may only sound like farmer benefits, the environmental impact continues to decrease – less water, less pesticides, less land are needed. Want to learn more about USFRA? 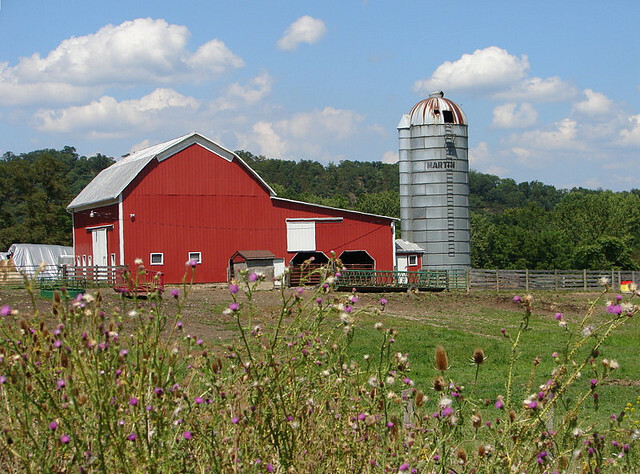 There will be a workshop at the Virginia Farm Bureau’s Annual Convention in November about USFRA and how to answer consumers’ questions about farming and agriculture. Be sure to sign up when you register!